MRC Tas Employment Assistance is available to new and emerging community members to become job-ready, including job-seeking support, résumé and application assistance, and interview skills. People from a migrant or refugee background are invited to check in for help with employment during Monday Drop-in; every Monday between 10am-3pm at our office in Glenorchy. For more information email settlement@mrctas.org.au or call Vatsal on 03 6221 0999. 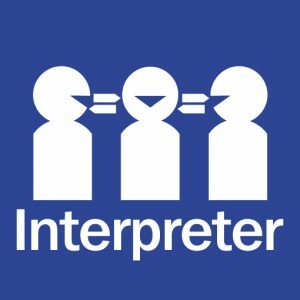 Call 131 450 for interpreter. Migrant workers and visa holders have the same workplace rights as all other workers in Australia. The Fair Work Ombudsman can give you information and advice about your workplace rights and obligations. Their website has information translated into different languages and a Pay and Conditions Tool (PACT) where you can calculate pay rates, shift calculations, leave, and notice and redundancy entitlements. Keep track of the number of hours you’ve worked with their Record my hours app, available in multiple languages. There is also a help for Visa holders and migrants page, with information about pay and conditions for visa holders, and about the types of visa protections that can apply for employees who work with the Fair Work Ombudsman as part of an investigation process. Talk to us with an interpreter. Phone TIS 131 450 and tell them your language.